Designed by Katy Homans with separations by Thomas Palmer and printing by Meridian Printing—all of whom contributed in the same roles to his previous books Stems and America by Car—Recent Western Landscapes 2008-2009 is of the same high quality, but the unique treatment of this object, incorporating appropriate colors and elements that fit within the western theme, is outstanding. The grayish tone and the tactile nature of the cover bring to mind the rough sand of the Mojave, the green of the foil-stamped text is sampled from the pinon and juniper which dot the New Mexico landscape and the sage endpapers bring to mind the brush that is the color’s namesake. The mystique of the west is still a theme in American art and culture and it is this enduring perception of wildness that Friedlander captures. 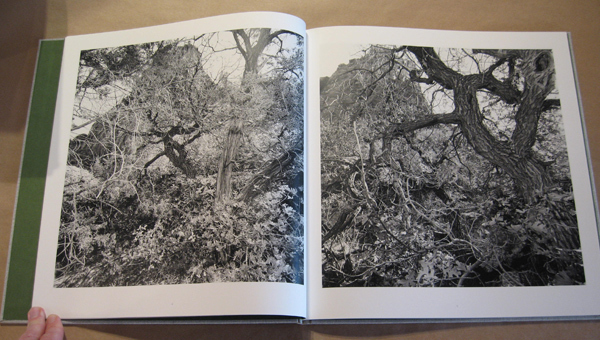 He photographed in Santa Fe, NM, the Tetons, the Mojave, and Yosemite. 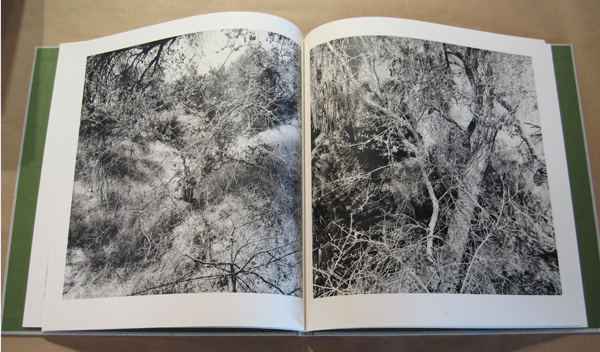 Turn the camera and you might see tourists, campgrounds, lodges, or even his shooting companion, but Friedlander allows us to experience the Old West, the feeling of isolation, adventure and exploration, the contrast in many of the images illustrating the hot sun of noon in the desert. 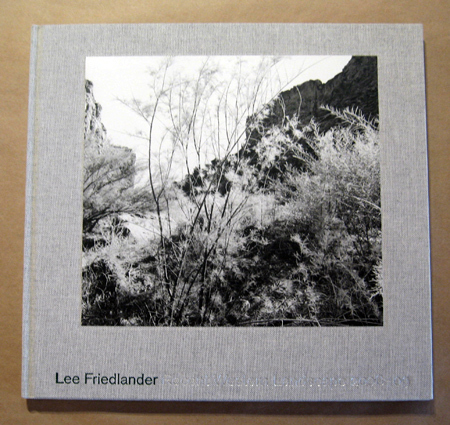 The design presents a pristine package which cleverly confines the rough wild tumult of the American West, and with it the photographs of Lee Friedlander. Due elsewhere in March 2011, the new Lee Friedlander book is in stock at photo-eye. Purchase a copy of the book here.